Which is your Избранное name? Which prince (born into royalty) is the most handsome? Which of these "What If" interests you? Выбор фанов: What If Eric Turned Into A Merman? Who is your most Избранное Дисней Leading Male Charcter and why? Eric + Аладдин = Naveen?? I read AudreyFreak's Статья describing the personality of the Дисней Princesses according to the Myers-Briggs test. To read this fantastic article, click link. Okay okay, who hasn't rated their Избранное and least Избранное princes?!! Here's my personal list. 9. Shang. Ew. Enough said. I hate Mulan! 8. Aladdin. Always getting into trouble, doesn't seem trustworthy. He looks like a 13 boy going through puberty! Ick. 7. Prince from Snow White...with no name. Obviously I feel the same way the rest of Ты do, he doesn't have anything to him. Although, I do wonder, where did Ты guys get the whole lipstick thing? He's just pale. Silly hat. 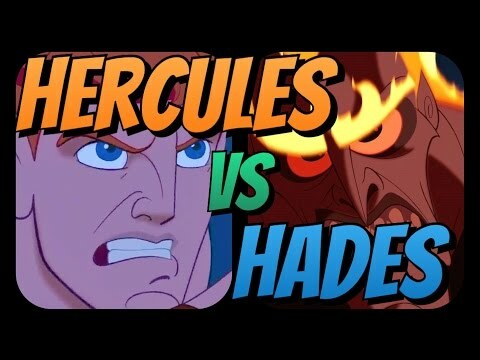 a video Добавлено: Hercules versus Hades!!! a comment was made to the poll: Is Аладдин hot? a comment was made to the poll: who do Ты like better? Christopher Daniel Barnes Provides The Voice Of Which Leading Дисней Man? вверх 10 Hottest Animated Дисней Men?